Professional photo booth rental services for corporate events, weddings, birthdays and more in the Greater Toronto Area. Picture taker. Ice breaker. Memory maker. Selfie Photo Stand is a perfect addition to any party or event. Our photo stand is a people magnet. Your guests grin and guffaw for the camera. It’s an entertainment centerpiece for your party that pays the fun forward by allowing your guests to print, text, email and share their photos instantly. Add costumes or a personalized border for extra fun and memorability. Let’s Make your Next Event a Fun Filled Event. Invite Selfie Photo Stand to your next event for instant fun, instant connections and instant memories. 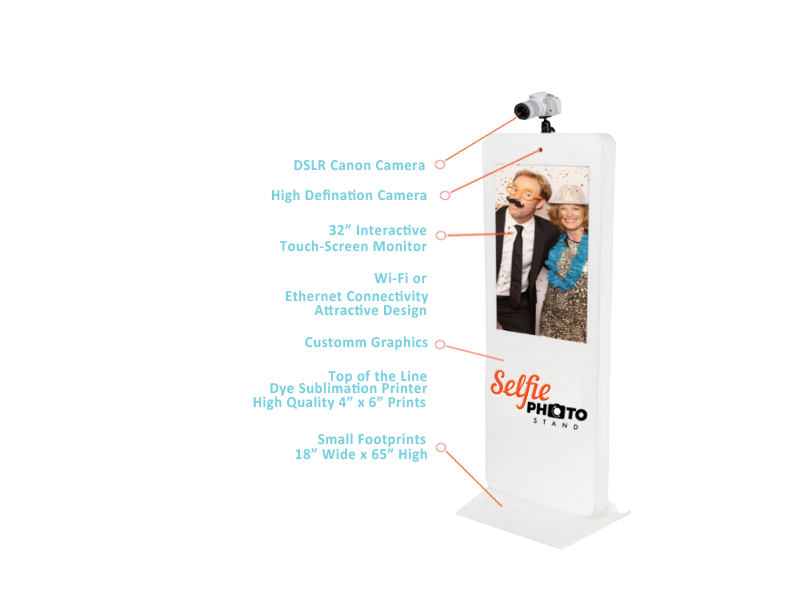 Whether you’re celebrating a milestone birthday or promoting your product at a trade show, Selfie Photo Stand keeps the smiles rolling. DON’T WAIT | BOOK A STAND NOW ! A Selfie Photo Stand for you wedding, or a Selfie stand for your business, were the number 1 service, you can pose as a witness. A Selfie Photo Stand at your party, or even at your school, Selfie Stand are a lot of fun, and the pictures are cool.